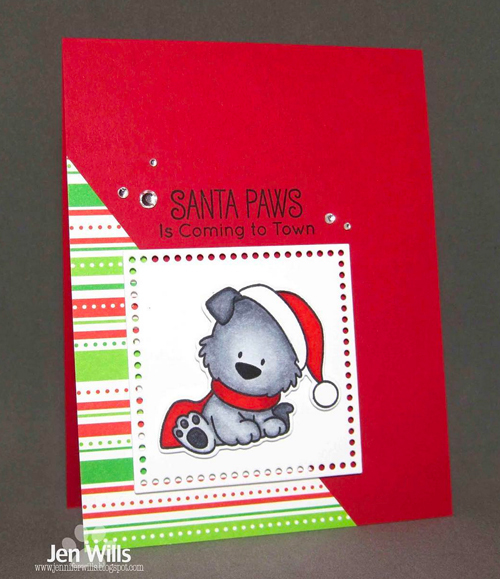 The adorable puppy images in the Happy Pawlidays stamp set look great with a variety of coloring mediums. Bettina achieved amazing shading and texture on her sweet pup using watercolors in bright, happy colors. 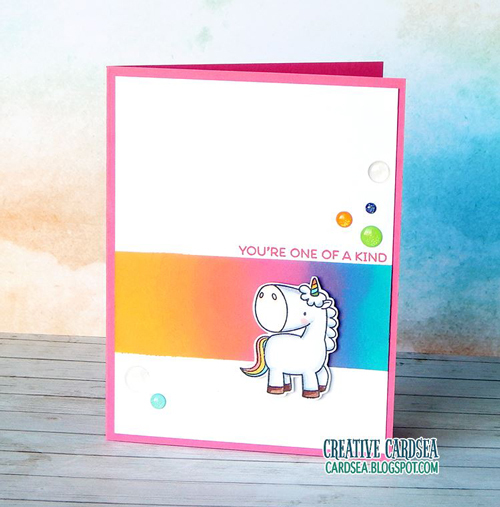 We're pretty sure unicorns and rainbows are just meant to go together - Elle created a vibrant inked rainbow focal strip on her background, providing the perfect backdrop for her unicorn image. 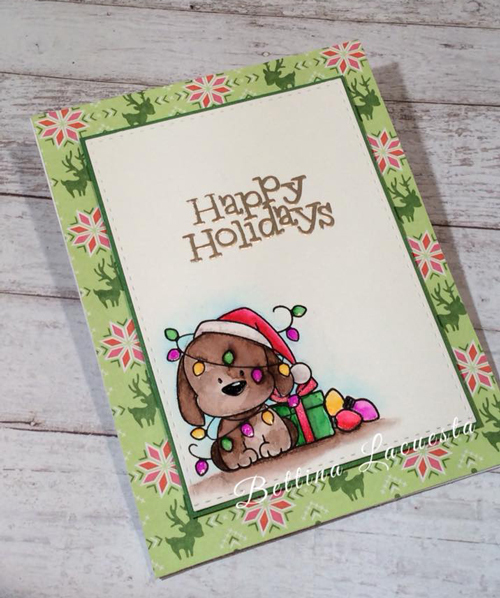 We admit it - we love seeing traditional Christmas colors on holiday crafts and this card by Jen is no exception. 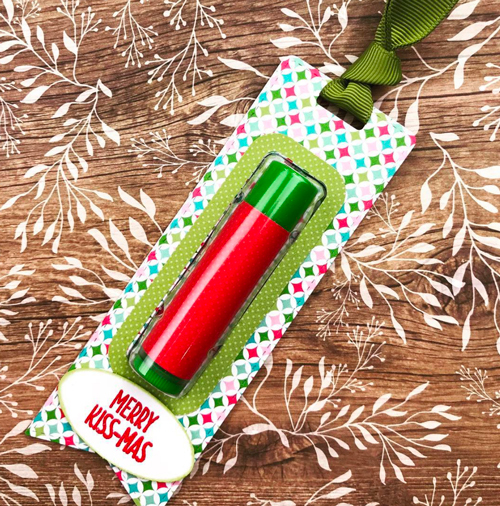 A fabulous red and green color combination paired with the cute Santa image has us pretty excited about the holidays! 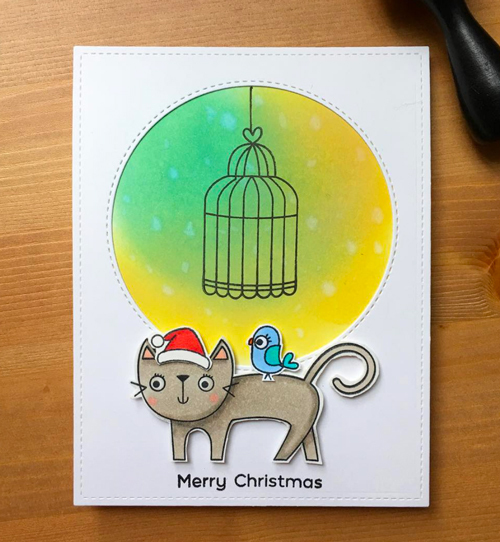 How cute is this Christmas card created by Amy using a non-holiday stamp set? We adore her sweet design and love that she used these images together to send a sweet holiday message.